Vamizi Island is big on conservation and the preservation of the marine and island wildlife. Fly to the Quirimbas Archipelago and learn more how the community monitors turtle populations and manages the surrounding marine sanctuary. This could be the most meaningful Mozambique island holiday you have ever experienced. Vamizi is ideally situated in specific sea currents which contain huge reserves of minute plankton, a major food source for most species living within this complex coral reef system. Divers should look out for huge groups of Giant Potato Cod, Grey Reef Sharks, Snapper, Batfish, Turtles, Barracuda and more. Dive sites such as Neptune’s Arm, Fraggle Rock, and Skunk Alley suit both beginners and experienced divers. It is all about snorkeling off deserted white sandbanks into clear blue seas then camping overnight on secluded Quirimbas beaches eating fresh seafood on the fire. Yes, Ibo Island Lodge is the only Mozambique island holiday resort offering fully tailor-made Mozambique Dhow Safaris into the Quirimbas Archipelago. Look out for indigenous fishermen drying their sardines on the sands, whales frolicking in the lake-like ocean and turtles digging out a sandy nest. You will be under the eye of an expert professional guide and local crew who will erect tents, arrange the food in an elegant picnic and ensure you are left alone in a discreet manner. Go for the standard recommended minimum itinerary of four nights island hopping by dhow or kayak and three nights at Ibo Island Lodge – but you are free to tailor make your perfect adventure and include some diving and snorkeling too. If you are looking for a trendy place for a weekend break, fly into the capital city of Mozambique, Maputo. All travelers love its diverse accommodation, cosmopolitan vibes and stunning setting of harbor and beaches. The architecture is a wonderful blend of Arab, French, Oriental, Portuguese and African, as well as fashionable Art Deco. Meet people gathering to eat great food in diverse restaurants, and to unwind in great nightclubs after long working days. Maputo is a place of music, dancing and great seafood. People are friendly and most places are safe. From exclusive hotels and restaurants to the more lowly, local and very real eating places, this is the place to be for fun and great tastes. Benguerra Island floats in the Bazaruto Archipelago like a diamond in the sun. 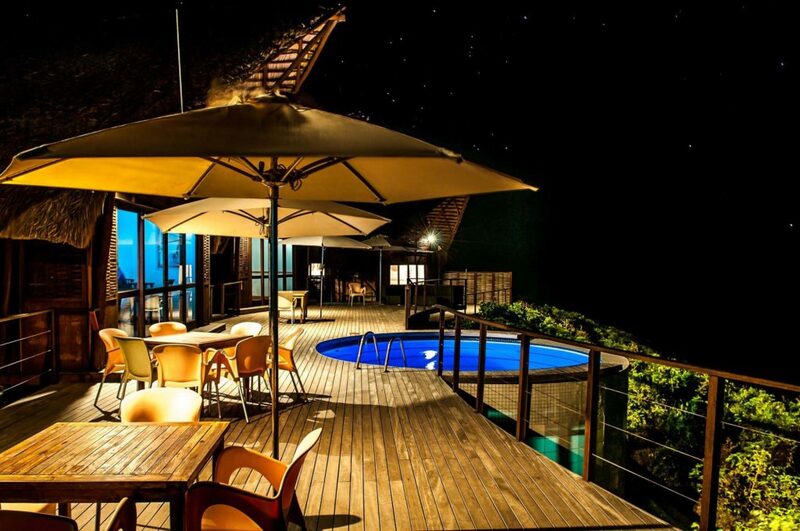 Go and see for yourself an authentic Mozambique lifestyle with plenty of luxury thrown in. You can relax in your private villa at the edge of the sea or get out and scuba dive, walk, snorkel or enjoy ocean safaris to see dolphins and whales. The island is part of the Marine National Park which makes it a diver’s dream destination -offshore coral reefs, inshore seagrass beds, large stocks of pelagic fish and long stretches of pristine sandy beaches. Dolphins come regularly to the beach and whales migrate seasonally past these shores. Go snorkeling to see underwater sights that take your breath away. Helicopter flips to overnight dhow safaris and ocean safaris to dive with the dolphins. The best way to get around between islands is by motorized boat or traditional sailing dhow – and island hopping safaris are now a popular way to get to see more than one island in this splendid Bazaruto Archipelago. 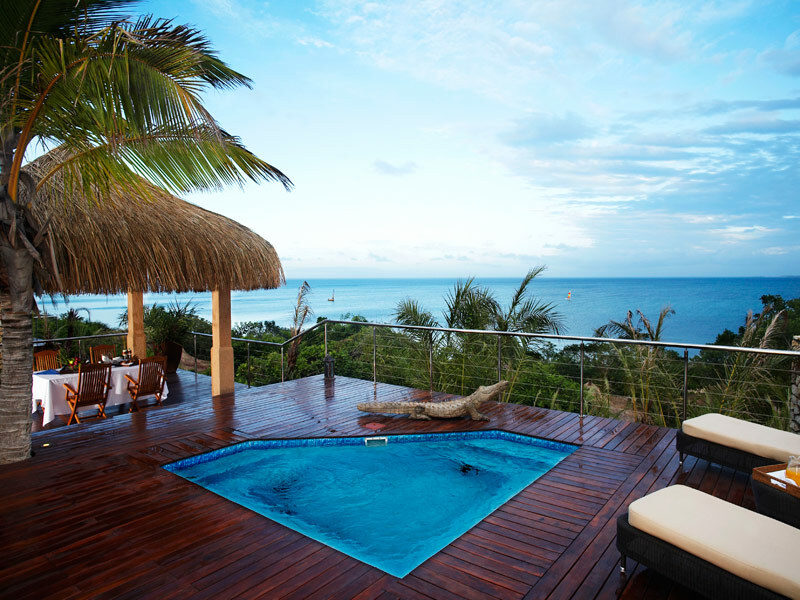 For a very laid back, chilled Mozambique hotel, look for the Anantara Bazaruto Island Resort on Bazaruto Island. Book a chic island style room and enjoy swish island style cuisine – far from predictable, your holiday in the Bazaruto Archipelago will be so remarkable that you will never want to leave this paradise! Think hammocks swinging in the breeze, cocktails served around the lovely pool area and a deep tissue massage at the spa while the ocean view dominates your vision. All of this enriched by the genuine smiles of the staff, the genuine dedication to good service that is Anantara Bazaruto Island Resort and Spa. The beach is pristine – leave only your footprints as you stroll daily along white sands, picking up shells and forgetting what happened yesterday. Tons of fresh air and sunlight spark that appetite so be ready to indulge in pancakes for breakfast, fresh salads for lunch from the hotel’s own garden, and seafood to die for in the starry evenings. Ibo Island is not just any island – it is a floristic wonderland where all kinds of birds come to play, breed and feed. The headquarters of the Quirimbas National Park, surrounded by the Indian Ocean, find the isle in front of one of Africa’s largest mangrove forests. So, whether you are a dedicated ornithologist or an amateur bird-watcher, you will marvel at the wealth of beautiful, and often rare, birds in Mozambique. Explore the wooded areas on Ibo and get there when the tides are coming in or going out. The lush, low-lying ocean mangrove forests are a special adventure for ardent bird-watchers. Settle in quietly at sunset when hundreds of birds fly in to roost – what an impressive sight! More than 700 different bird species, 10 of these being threatened, have made their home on Ibo. Goliath Herons, Fish Eagles, Egrets, Flamingo’s and Pelicans are all regular visitors and the tropical gardens at the lodge support a large range of Sunbirds, Woodpeckers, and the beautiful Lilac-breasted Roller. Trained guides teach you about every little Ibo flitter and flutter. Your holiday on Ilha de Mozambique, a historical island and famous UNESCO World Heritage Site, guarantees unforgettable experiences. Discover numerous relics of its ancient past. Book an awesome accommodation special package and spend your holiday exploring ancient ruins, taking a traditional dhow cruise out to sea and watching local people go about their daily business. Ilha de Mozambique is famous for its Stone Town and Fort São Sebastião, a reminder of an interesting past. Originally the capital of Mozambique, for 400 years, before the Portuguese decided to make their capital Lourenco Marques (now called Maputo) this island is a unique blend of cultural times gone by and breath-taking beauty. Book a few days at the unique Hotel Escondidinho, a renovated 19th-century house – once a trading house where slaves were housed. Or the house of Terraco das Quitandas which is more than 300 years old, located in the heart of the island’s Stone Town. This gracious old colonial building dates back to a rich past of Portuguese, African and Arab influences. It was once home to many different merchants and traders, followed by Portuguese rulers and oozes with history and authenticity. From scuba diving and surfing, snorkeling and deep sea fishing, Tofo offers a perfect outdoor activity for those who love moving. Horse riding, bird watching, quad biking, and dhow cruises are also fantastic fun on beaches and sand tracks around the region. Explore some 15 pristine dive sites which are part of a renowned coral reef, one being Manta Reef. Come between October and February and catch a gigantic Black Marlin trophy. Catch a ride with big game fishermen to see how they do it. You may see Humpback whales breaching while out at sea and can also try your hand at sea and lagoon kayaking, kitesurfing, windsurfing, surfing/bodyboarding, parasailing, and jet-skiing. 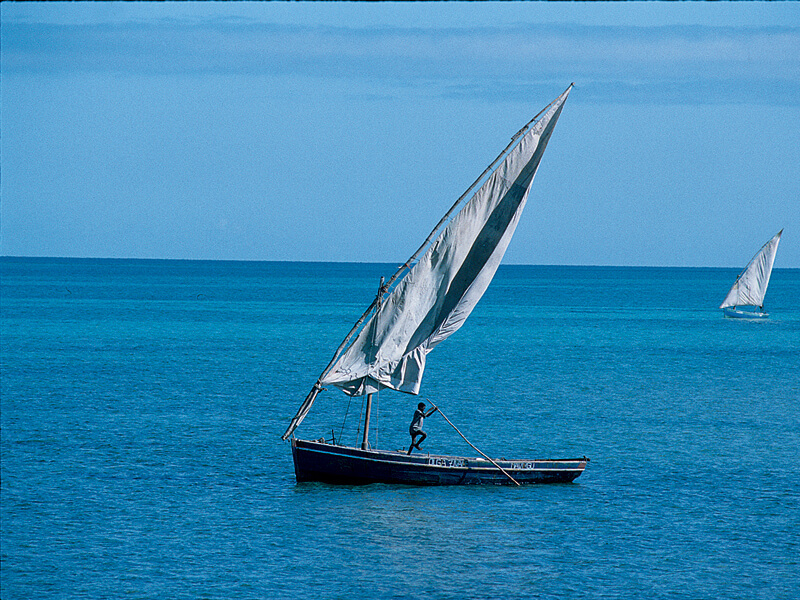 Afterward, book your dhow cruise to Inhambane and see Tofo from a different angle completely. Mozambique is the quintessential honeymoon hideaway, surrounded by aquamarine waters, beautiful beaches, tropical forests, and freshwater lakes. For here you will find luxury island resorts and hotel accommodation, sunny skies, moonlit walks and candlelit dinners on a beach stretching for miles. At Massinga Beach Lodge couples are treated like royalty and respond well to five-star service, the huge lobsters grilled to perfection, the secluded beaches. Stay for longer in an Ocean View Villa complete with phenomenal views, beautiful decor, crisp white linen on comfy beds, rain showers and free standing baths. The private deck and plunge pool promote relaxation and romance. Enjoy special meals served to you on your deck – or enjoy the elevated restaurant and bar. Cuisine at Massinga includes fresh seafood and other delicious dishes. A real hit with honeymooners is the private beach picnics – choose a secluded spot, sip a glass of bubbly and enjoy a swim in the warm Indian Ocean. High tide at Machangulo is a wild time of natural energies and surging waters. Fishermen love the deep channels here and all kinds of fishing are on offer. Guided offshore and channel fishing will teach anglers new tricks while rock and surf fishing is up to you although you can request a guide. This is a great fly fishing territory and the lodge can assist with tackle and set up. Fishing, like some of the other activities, is dependent on the weather and tides. Machangulo Beach Lodge uses two modern and safe powerboats designed for diving and fishing. Diving is very rewarding at this lodge, the estuary and sea coming in to create a unique setting. Within the marine reserves lie some excellent visuals of protected marine species that create that ideal and sublime diving experience. The lodge offers courses for novice divers and some wonderful shipwreck sites for those in the know. The PADI instructor is one of the first Mozambicans to ever attain his Instructor Level with PADI! We have mentioned 10 different beach holidays for all kinds of travelers. Mozambique has it all. We could go on until we reach 100 so allow this sample to whet your appetite to travel into Mozambique for your next holiday. The beautiful beaches and wonderful ambience of Bazaruto Island make it a fine choice for a holiday, so well done for picking this amazing place. Located in the Indian Ocean just a short distance from the coast of Mozambique, this glorious island offers a chance to enjoy a truly exclusive holiday in a genuinely exotic location and with 20 years experience in arranging Mozambique travel packages we have access to the very best in Bazaruto accommodation. The wonderful resort of Anantara Bazaruto is one of the most highly regarded on the island and is perfect for a family holiday or romantic break for two. Anantara Bazaruto combines superb luxury villas in amazing beach front spots with stunning facilities and a wonderful atmosphere. Stay here and you do so in seclusion if you wish, for the island is not marred by the large crowds of tourists you will find in similarly priced resorts in Zanzibar or Mauritius. Take advantage of the white sand beach, warm blue ocean waters and simply amazing weather, and relax away from the hustle and bustle of daily life. You deserve it, so why not book that dream holiday you’ve always dreamed of? With a team of experienced and knowledgeable travel consultants waiting to help book your ideal package, we offer a full service that is second to none, and we have access to the very best in Bazaruto accommodation. 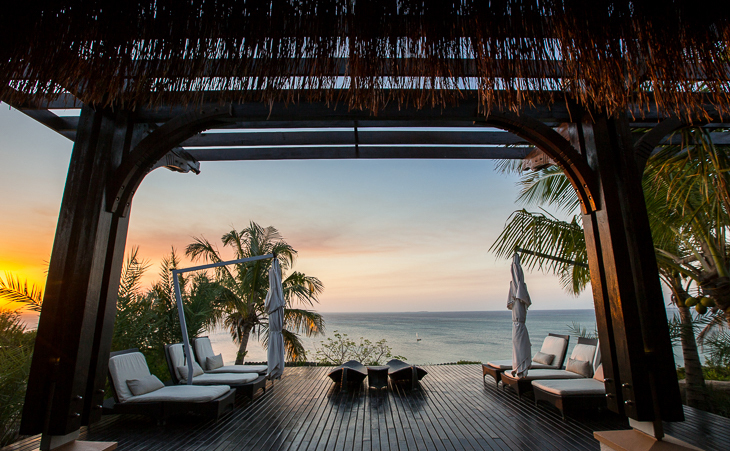 We know Anantara Bazaruto very well indeed, and we can also build you a package that allows you to see the mainland of Mozambique, perhaps the capital city of Maputo or the game reserves, as well as staying at this spectacular resort. There is nowhere else quite like Bazaruto Island, so get in touch now, we’ll call you back shortly and help you book the holiday you deserve. If you have never visited the Bazaruto Archipelago in Mozambique, then now is the time to do it. This fantastic chain of islands drifts in the Indian Ocean outside of Vilanculos, airport and port town, and offer some of the best holiday accommodation in Africa. Bazaruto holidays can be spent on Bazaruto Island, the largest island in the Archipelago and boasting two serene lodges, one of which is the perfect Anantara Bazaruto Island Resort & Spa. It is here that you will really relax and make the most of your ideal sea views, water sports and luxury villa accommodation. You will be completely entertained by Mozambique staff while you decide whether you should snorkel, play tennis or walk the beach for miles! Read more about the resort activities here. Picture golden beaches, indigenous dune vegetation and huge dunes, a sea so blue it hurts your eyes and accommodation so picturesque you never want to leave it. Anantara Bazaruto also offers you a spa treatment in its sumptuous therapy rooms overlooking the ocean, all based on timeless, natural ingredients. Your holiday will be packed with activities from ocean-related snorkelling and diving, windsurfing and kite surfing, to beach fun times including walking, swimming, dune boarding, horse riding and exploring the inland lakes and wildlife on a planned drive. The Bazaruto Archipelago is known for its deep sea fishing expeditions, where guests can try to catch Marlin, Sailfish, Barracuda and more from well-kitted boats. Everything is done on a tag and release basis. Your holiday in Bazaruto will be heavenly and time will be of no consequence. The Bazaruto National Park was declared in 1971 to protect the amazing wildlife in this region so when you go diving, you are sure to see some endangered creatures including the huge dugong, turtles, dolphins and whales in season. Make time to enjoy an ocean safari to get up close to these amazing marine animals, just you and the wide blue ocean. Bazaruto Holidays spent at Anantara Bazaruto are made for sunny relaxation, outdoor activities and time to get to know the real you again. It is easy to get there too: simply fly to Mozambique from Johannesburg or your country overseas, landing at Vilanculos. The lodge will organize your air or boat transfer right to the island. 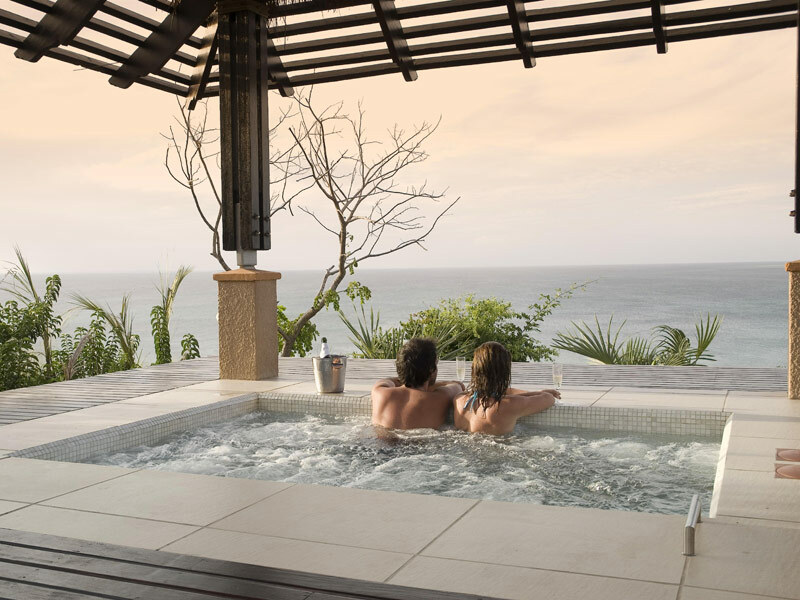 Your holiday in paradise is ideal for couples, honeymooners, families and business associates needing time out – make the most of the natural surroundings to de-stress and unwind. Villas face the ocean and boast infinity plunge pools, huge beds, sunken baths, private decks and amazing sitting areas from which to soak up the sun and outlook over beach and waves. Enjoy fresh seafood at the two restaurants and kids will love the large swimming pool and activities arranged just for them. Buy your tickets now to Anantara Bazaruto Island Resort & Spa, the ultimate Mozambique holiday destination. Mozambique is a country of many delights, and one where visitors can enjoy unrivalled weather, stunning beaches and wonderful accommodation. As the acknowledged experts in travel to this charming and welcoming East African country we have access to the very best in Mozambican accommodation, and we can find you the best destination for your requirements. 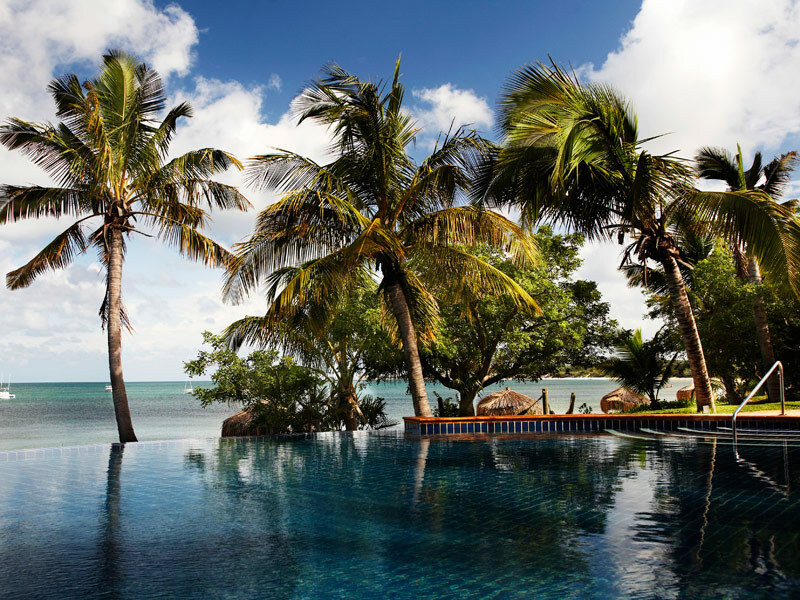 For example, we cannot recommend the stunning Anantara Bazaruto Island and Spa resort highly enough. Luxurious accommodation, fine facilities and a prime location on one of the most beautiful islands of all make this a first class choice. Bazaruto Island is the largest of those in the archipelago of that name, and is situated in the beautiful clear blue waters of the Indian Ocean, just a short flight from the mainland. The stunning white sand beaches are nothing short of breathtaking, and at Anantara Bazaruto you have access to one of the finest of all. Take part in snorkelling, diving and other water sports activities or relax on the beach with a drink, or perhaps enjoy the wonderful spa treatments within the facility – the choice is yours, and you are free to take things at your own pace. Anantara Bazaruto is a fine choice from which to explore this glorious island paradise, and with our reputation as the leaders in Mozambique travel we can guarantee you the very best packages and deals in the business. In fact, thanks to our reputation we could secure you as much as 15% discount on the cover price. The time to go to Mozambique is now, as it has yet to become overrun by tourists as you will find in similarly priced resorts in Zanzibar or Mauritius, so you’re in the right place to secure the best deal right now. With a team of expert travel consultants waiting to take your call we can help you book the perfect package, and as experts in beach and bush packages we can even arrange for you to take a trip to the mainland to enjoy a superbly exciting Safari. Nothing beats watching the rare and exotic animals of Africa in the wild, and we can get you great deals. Whether you want a relaxing holiday in the sun, a romantic break for two or even a honeymoon package Anantara Bazaruto makes an excellent choice, so don’t delay – get in touch now and we will call you back to help book your dream break. Let us start with the unusual activities at Anantara Bazaruto Resort and Spa, one of the most luxurious island lodges in the Bazaruto Archipelago off the southern coast of Mozambique. Cooking classes are fun – enjoy a tour of the resort’s own vegetable garden and orchard before you see the kitchen! Learn to cook with the unique flavors of Mozambique, tasting as you go. Create your chosen dishes with a chef who teaches you step-by-step. Yum! Every day at Anantara is a surprising day – there are organized activities for young and old alike including tours, adventurous water sports, cultural past times and more. There is also a fitness center at the resort where guests can opt for treadmills, cycling and rowing machines and a full circuit! If you haven’t heard of Golf, then now is the time to try this funny combination between golf and croquet. All ages will enjoy it on the lawn outside – or go for a game of tennis and volleyball against newfound friends. Sand boarding is great fun for children and adults and only requires the energy to clamber up and down the highest sand dunes in the Archipelago. While out and about, take binoculars to spot incredible birds – Bazaruto Island is home to more than 180 different species including flamingos, pelicans, and other fantastic migrants. The most popular activity at Anantara Bazaruto Resort and Spa is the diving and snorkeling within the boundaries of the Bazaruto Marine National Park. One of the world’s premier diving destinations, this part of the Indian Ocean is home to more than100 species of coral, kingfish, barracuda, manta rays, five kinds of dolphin, four types of whale and shark, all five marine sea turtle species, and the largest population of the rare dugong on the African east coast! Which is why fishing is just as trendy – anglers try to catch Sailfish and Wahoo, Marlin and other charismatic species on a catch and release basis. Whale, dolphin and dugong watching takes place on idyllic ocean safaris while dhow sailing cruises are fantastic honeymoon treats. Finally, there is horse riding along pristine white sands, the wind in your hair, the sun at your back – aaaaahhhh. 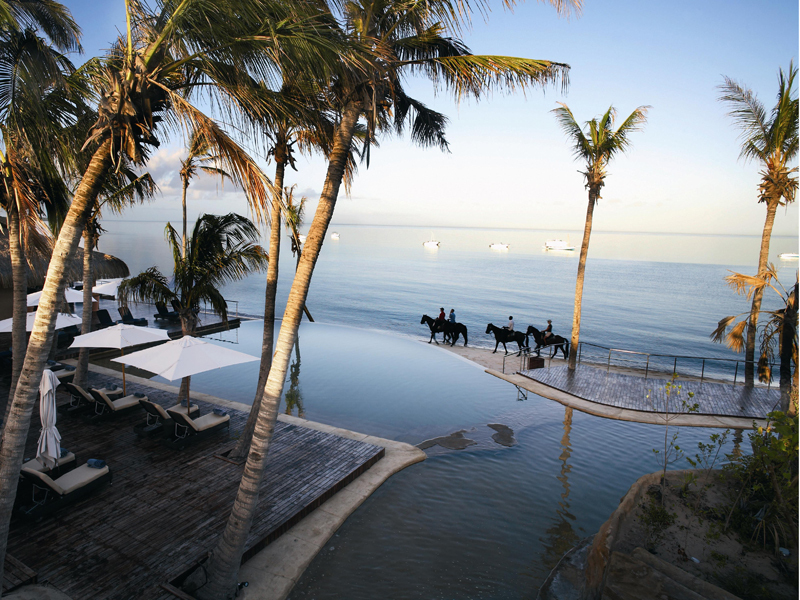 Swim with your horse in the sea then head to the restaurant for something cold and liquid! Boredom certainly does not exist at Anantara Bazaruto Resort and Spa. Mozambique, a wonderfully friendly country on the east coast of Africa, is home to some of the finest beach resorts in the world. With its fantastic weather and amazing choice of places to stay, it is perhaps to the islands that we should look for the best options. The Bazaruto Archipelago is one of two island groups belonging to Mozambique, the other being the Quirimbas Islands, and on the former you can find the quite spectacular Anantara Bazaruto Island Resort and Spa, one of the most extensive and impressive of all the Mozambique beach resorts. Occupying a wonderful beach front spot, Anantara Bazaruto Island Resort and Spa – formerly famous as Indigo Bay – is home to a number of superbly appointed lodges that afford luxurious accommodation within a superbly equipped resort, and the opportunity to explore the tropical paradise that is Bazaruto Island is one that cannot be overlooked. Within the resort itself are a number of superb restaurants, relaxing bars and pools, plus a gym and a wonderful water sports centre that allows you to indulge in everything from fly fishing to windsurfing, and much more. There is no doubt that Anantara Bazaruto Island Resort and Spa is a great place for a family holiday – there is a fully staffed kids club to attend to all their needs – and it is also a wonderful choice for a romantic break. With full spa facilities in the charming spa above the resort, and a choice of accommodation packages ranging from the comfortable and affordable Beach Villas to the exclusive and very private Executive Suite and Presidential Villa, this stunning resort is designed to cater for everyone, and is highly regarded as one of the premier destinations for luxury Mozambique holidays. Booking a stay at Anantara Bazaruto Island Resort and Spa online could not be easier, and as we are the leading name in Mozambique holidays we can offer you the very best accommodation deals and special packages. As experts in Mozambique travel and the Bazaruto Islands, our friendly team of advisers can help you make the right choice at the right price, and we also have access to many other beach resorts and hotels including the beautiful Ibo Island Lodge and the charming and traditional Benguerra Lodge. Why not get in touch with us right away, and book that dream holiday in Mozambique that you and your family deserve? There are so many glorious resorts and locations in Mozambique, on the south east coast of Africa, that choosing one for a holiday can be difficult. Knowing want you want from your Mozambique holiday is part of the process; you have a choice of the glorious Inhambane Coast, with its stunning beaches, the amazing islands in the Indian Ocean, and even the friendly and welcoming capital, Maputo. With many package deals offering a combination o all you can experience the best of Mozambique holidays, but when you take a look at the available Bazaruto accommodation, on the islands of the same name, you will be even more engrossed in this stunning country. The Bazaruto Archipelago is a collection of five islands, each of which is a genuine tropical paradise, with Bazaruto and Benguerra Islands being the most popular for tourists. A choice of beautifully appointed beach hotels and lodges makes up your Bazaruto accommodation, and few could be more impressive than Benguerra Lodge, the first one of its kind on the islands, and still a favourite today. Decorated in authentic African style, and offering amazing facilities in an unrivalled location, Benguerra Lodge has to be a prime choice of venue for staying on this amazingly tranquil and beautiful island. Also available among the many Bazaruto accommodation options is the glorious Azure Benguerra, a superbly located retreat with a choice of 16 lodges in a beachfront site, and regarded as one the exclusive of all the lodges on the island. 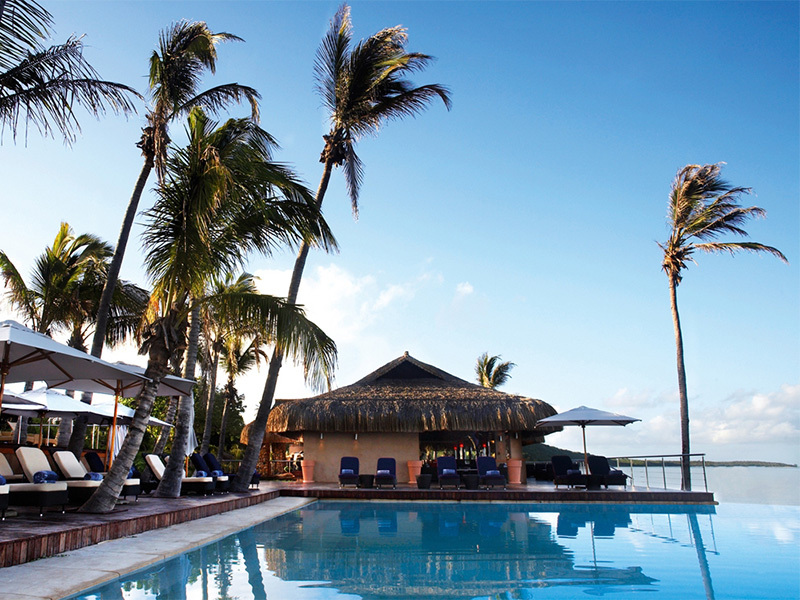 On Bazaruto Island you can find the very impressive Anantara Bazaruto, a long-established and extensive resort that is popular with those who wish to enjoy an active holiday, which offers access to idyllic beaches swaying with palm trees in typical Mozambique style. These are just a few of the many Mozambique beach resorts, and the choice is comprehensive. With a great choice of accommodation package deals on resorts in the Bazaruto Archipelago, we are the acknowledged leaders in holidays on the islands and in Mozambique, and have access to many of the very best Bazaruto accommodation deals available. Covering all options from family holidays through romantic breaks and even Mozambique honeymoons, our friendly and experienced team of advisers can help you find the perfect special deal for your holiday in Mozambique, and we guarantee the best prices as well as excellent service. 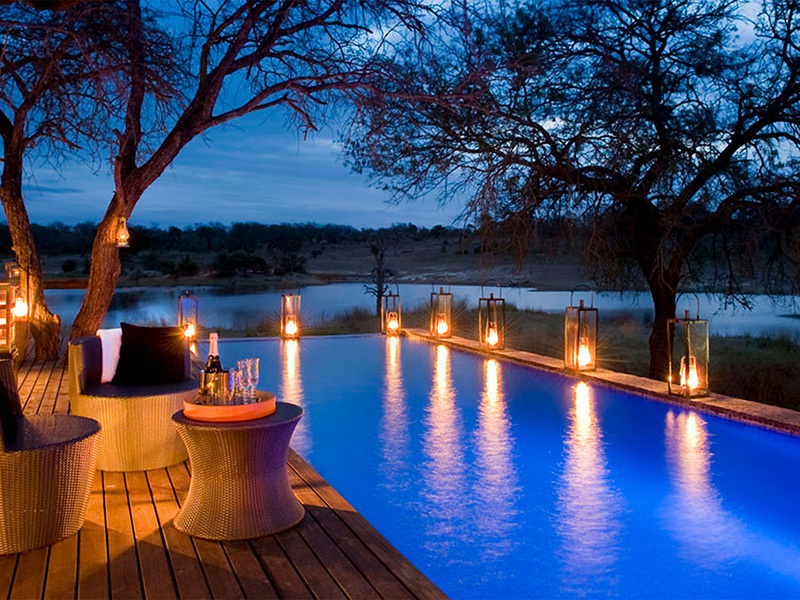 For the dream holiday you always wanted, get in touch now and book a trip to Mozambique that you will never forget. Formerly known as Indigo Bay Island Resort, Anantara Bazaruto Island Resort is a hidden gem floating in the azure Indian Ocean. The mother of all Bazaruto accommodation, this exquisite resort boasts 44 superbly appointed villas that are nestled in lush vegetation and tactfully laid out along the beach. Each promise secluded bliss and 5-star facilities which include satellite TV, air conditioning and minibar among other amenities. Awarded a Certificate of Excellence by Tripadvisor, Anantara Bazaruto combines first class service, high-end facilities and a picturesque location to provide guests with an unforgettable holiday experience. Browse through the candid photos and see for yourself why we rate this romantic beach retreat as one of the top Mozambique beach properties. As one Tripadvisor hotel review by Jane T from Johannesburg states, “We never lacked for anything and were made to feel like royalty. The staff, location, food, service and rooms were exceptional! … We had an unforgettable week and hope to return one day”, a holiday at this hotel will exceed all your expectations. Anantara Bazaruto Island Resort is a cut above the rest and on a scale of 5, we give it a resounding 5 out of 5. It is a great family holiday destination and a romantic hideaway for honeymoon couples. It is also an ideal venue for business travellers and offers complimentary internet, a business centre as well as meeting rooms. Book your stay at Anantara Bazaruto to enjoy the delights of island living today.